This site was created for an RFP. This site design won that RFP. 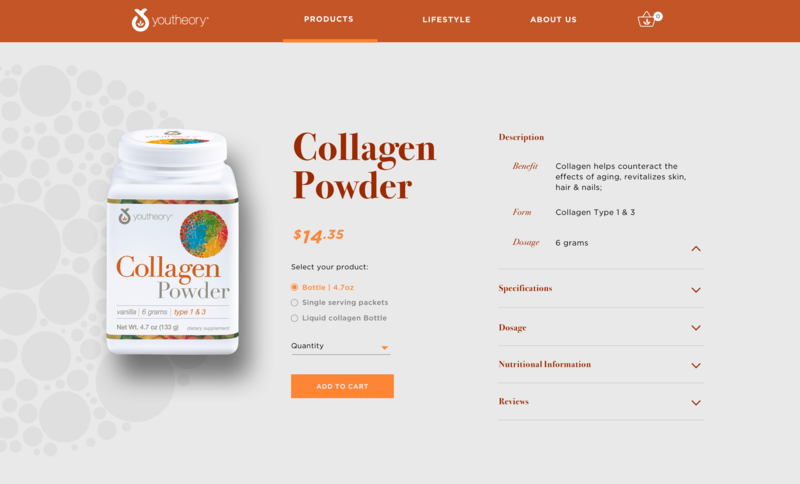 Youtheory is a vitamins and supplements brand that needed to keep with their own social media feeds, needing a little rejuvenatiom on their digital presence for an ecommerce platform. It’s always super exciting for me to be able to work with brands and help elevate the existing graphics. Stuff they already own used in a way they haven’t yet thought about. For Youtheory, I looked for what represents the core of the brand. With some research I found that the round shape on the label is actualy what a collagen molecule looks like under a microscope. 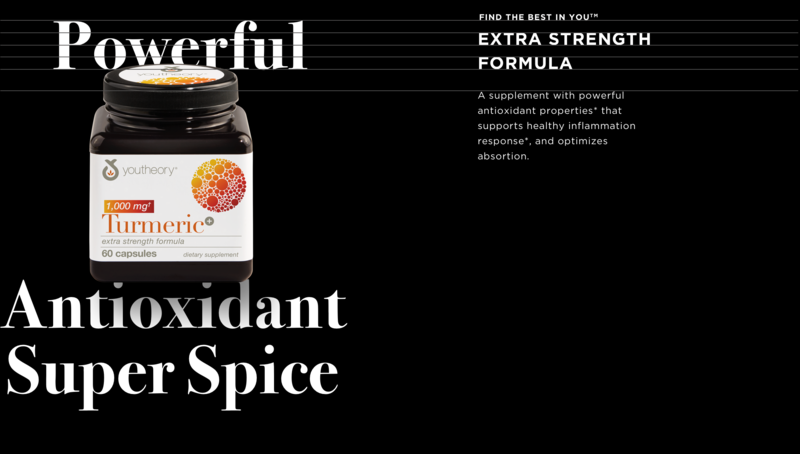 Combining that element with hero package shots, and bold typography to highlight the benefits, a very simple, transparent and dynamic visual language came to life. 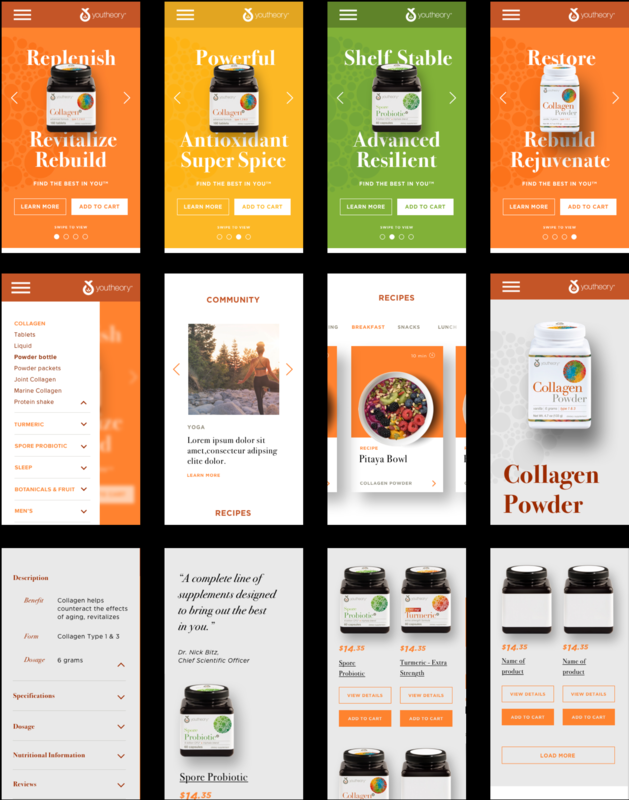 The goal was bring the simplicity and transparency consumers crave when it comes to supplements, that still works as an ecommerce platform. Our client provided us with a beautiful family of type faces: Gotham, Bodoni, Proxima Nova and Helvetica. The instinct was to simplify the number of font family use for digital, keeping Proxima Nova and Helvetica in the back pocket for print use. Keeping things simple allows for a focused design approach when delivering relevant information without too many letterforms, font weights, widths or heights. It also allowed for us to play with typography placement and hierarchy of information. 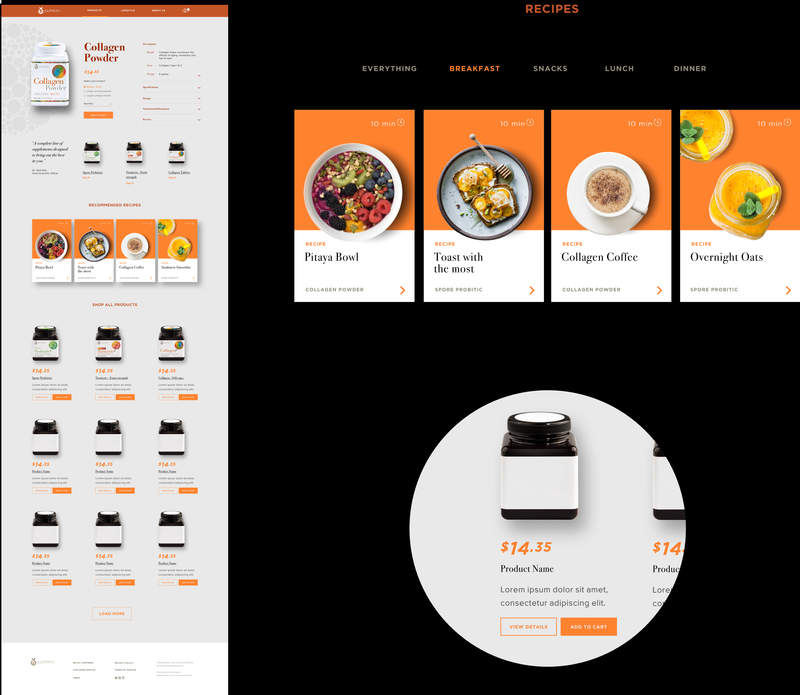 A bolder approach that gave the site a striking and benefit driven visual language. Tactile, True to ingredients, appealing to palatte.